A weird creature is washed up on the beach. It is in fact a human being, smothered from head to toe in oil. 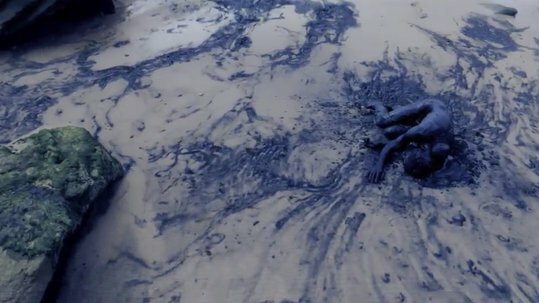 A commercial from environmental organization Quercus highlighting all the endangered beaches in Portugal affected by pollution from the surrounding industrial plants and factories.